Who was this man who so mesmerised the world, born almost a century ago but whose words and wisdom are still so current, so compelling? Films, plays, books, media images and news stories bring him regularly into our homes. The UN has declared his birthday, 2nd October, the International Day for Non-Violence. But how do we make his life relevant to a child of today? How do we tell his inspiring story so that he isn't just part of a history lesson? 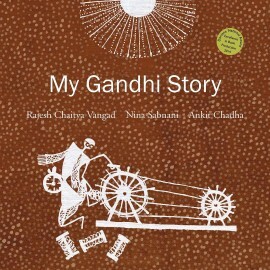 PICTURE GANDHI does this by heading off the beaten track and following Mohandas Karamchand Gandhi himself, in spirit as much as chronology. The author views him with affection, but sparely, guided by what he himself valued most – truth and love – and what was important to him. Visually, too, the book enhances this perspective. Thought bubbles paraphrase Gandhi's words and peep into his mind. Colourful hand-done elements add interesting extensions to old black and white photographs. 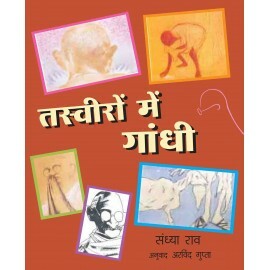 PICTURE GANDHI attempts to shake off the aura and offer a close and intimate glimpse of a man of our times, a man for all times.